Officials at the world-famous Yellowstone National Park in the United States will be capturing 600-900 American bison this winter and shipping them for slaughter in order to reduce the animals’ population. “We may capture more if there are more than 600 bison in the (Gardiner) basin to reduce conflicts with the public,” P J White, the park’s chief wildlife biologist, told the Interagency Bison Management Plan partners during a meeting in late November, according to US media reports. The officials will carry out the measure to fulfill an agreement with the US state of Montana that was signed on December 31 last year. 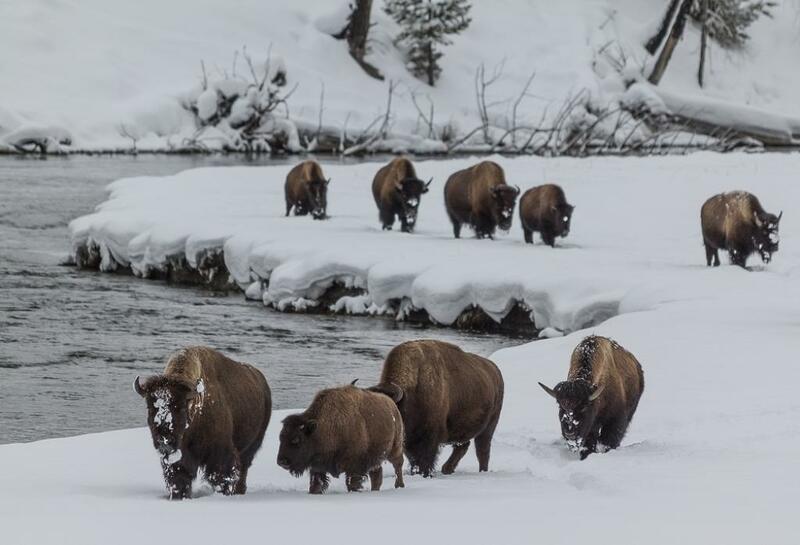 Out of the estimated 4,500 bison in Yellowstone, just over 3,300 reside on the Northern Range and migrate out to the Gardiner Basin in winter where they can be trapped for shipment to slaughter or, once outside the park boundary, killed by state and Native American hunters. In 2017-18, slaughter and hunting removed 1,171 bison from Yellowstone. Of this, 375 were killed by Native American hunters and 694 were sent to slaughter. The meat of the slaughtered animals is usually distributed among Indian tribes who live in the area or participate in the hunt. Officials have said that removing 600 bison would keep herd numbers stable, based on mathematical calculations by the National Park Service. They say if the park can decrease bison numbers to an average of about 3,500 animals, it would then have to remove fewer bison in the future, mostly through hunting and put an end to the ship-to-slaughter programme. Yellowstone’s bison population is probably the oldest and largest public bison herd in the US. In 2015, it was estimated to be 4,900 animals. Yellowstone is the only place in the US where bison were not extirpated. American Bison once numbered in the millions. However, by the late 1880s, they had been hunted to near extinction throughout North America.